Throughout the computer world, files are encoded in variety of ways to fit the standards of different operating systems and programs that run the files, whether they are a music file, video file and any other file. One file may run on one program and not on another and this simply because each computer program handles files/data in different manner. Before a certain file that runs on a program can be used by another program, computer or other devices, you must first convert the data using file conversion software. If you search the Internet today for a file converting software, you will be overwhelmed by the number of free software you will find. Each of these file converting software have different capabilities in converting files, some focus on converting one format of file to another format and some offer multiple format conversion capabilities. To help you find the best for you to use, here is a list of 10 best file converting software. 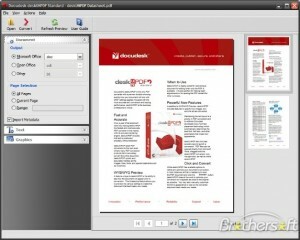 Able2Extract PDF Converter is one of the best PDF converter for windows OS. The software has an easy to use interface with step-by-step balloons tips that walks the users through the file conversion. The software easily converts file in PDF format into editable Microsoft Word formats for editing and formatted Microsoft Excel Spread sheets. The software also includes conversion from PDF format to PowerPoint, Publisher and AutoCad. The only con of this great converting software is that when you convert the PDF formatted file to a Word file, you will need to remove extraneous characters and lines. deskUNPDF PDF Converter is an all-in-one comprehensive PDF converting program that has an intuitive and user friendly interface. This program helps Mac OS X users convert their PDF formatted documents into other document file formats such as .doc, .xls, .html, .JPG, SVG and other formats. It also allows multi conversion. Wondershare video converter is a superfast drag and drop video converter software. It is also a DVD burner and a converter for Windows8, which lets users convert videos to and from any existing video format including 3D format with a 30x faster conversion speed than any ordinary video converter software. With this converter, you will surely have no problem converting video files to fit any of your gadgets. AVS Video converter is one of the best and most versatile video converters in the market. The converter software is able to handle any video file under the sun with the exception of 3D output. Nevertheless, this software is still one of the best with its great features and super easy to use small and intuitive interface. The best feature the converter has is its built-in DVD burner. With its few missing features and the ability to convert audio files, this software still remains a winner. HandBrake is a great video converter program that is intended to both rip and convert video files to function on a number of devices supported. The features of this converter software are easy to understand. However, it would take an advanced computer user to use HandBrake to its full capability, but anyone with a basic knowledge can figure out easily how to use the software. It has the ability to rip files from DVD and convert video files to almost any video format. 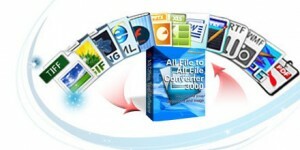 All File to File Converter 3000 is a revolutionary software, which has the ability to convert any file format to almost any format under the sun. With this file conversion software, users can easily convert massive different formatted files to one specific format with fast conversion speed. It has the ability of all different file converter like the PDF converter, Video and Audio converter. The software also enables users to create a PDF file from any of their documents and images with three modes, the default mode, text mode and image mode. SUPER 2012 is both versatile and powerful video converter software that supports a wide variety of video and audio formats. This file converter software is great for those who are looking for a great software that has the ability of both media player and converter with a lot of application to choose from. With the help of this great tool, users can turn almost any kind of video from its original format to any video format there is. The only con of this software is its interface that focuses entirely on functionality and almost zero on looks, other than that, the conversion software is a winner. Doxillion Document Converter from the NCH Software is a converter of files in multiple formats giving users an easy and fast way to convert documents from one format to any other format out there. 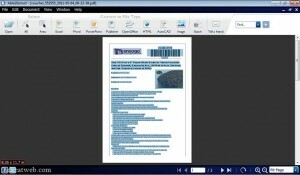 Doxillion document converter is designed for easy use with a drag and drop options and functionality. Users can also have the option of adding the software to their right click menu for an even faster way of converting their frequently used formats. One of Doxillion’s best features is its ability to convert massive different documents to once certain format at once. 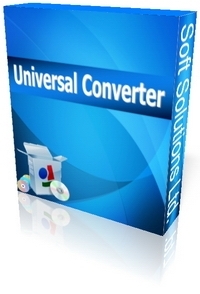 Universal Converter offers a complete solution for converting documents into major file formats like PDF, HTML, TIFF, JPEG, PNG, BMP, RAW, EPS, PS and other file formats there is. One great feature of the Universal Converter is that it provides security features like password protection, water mark and unique copy protection to the documents that are converted. The software also provides a command line interface for converting files and users are enabled to combine multiple files of different formats into a single file and convert it to any desired file format. Last but certainly not the least of the list of the best file conversion software is the MasterSoft Multi Converter. This program is an image conversion software that has wide additional features like the batch conversion, Printing features, gif animation features and many more. Users can view, convert and save file from different formats and create GIF animations and extract frames from different animations. What’s new and hot with the newer Version 1.3 CE is that it will not expire and is free to use. It is fairly straightforward and powerful, and was capable of converting between lots of different video formats. You know what would have been great? Links to the companies that created these software apps to make it easier to find, download, and test.